To reflect leading customer service. 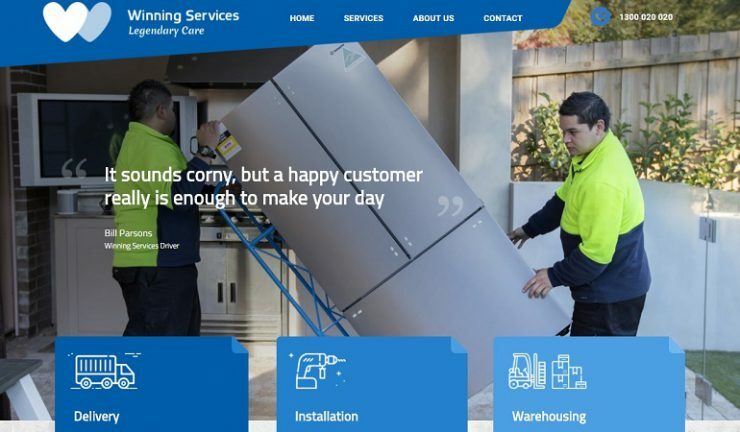 Winning Group has rebranded its delivery, installation and warehousing service from Handy Crew to Winning Services and launched the Winning Services website. Winning Group CEO, John Winning said, “The new Winning Services brand has been designed to proudly reflect the outstanding customer experience and industry leading Net Promoter Score, which our incredible warehouse, delivery and installation teams provide to our customers every single day. The Winnings Services brand now more effectively expresses our core value proposition of legendary care. “The level of care and efficiency that our service team take to deliver, install and handle bulky good replacement items is like no other. Winning Services has a significantly higher Net Promoter Score than the average for Australian logistics companies who have an average of -2. Winning Services reached a high of 80 in 2017 and 85% of our customers rating us a 9 or 10 out of 10. The launch of Winning Services involves rebranding of the national fleet and warehouses around the country, as well as new uniforms for delivery, installation and warehouse staff within the next three months.